First of all I am very very sorry to hurt the raglak fans………………I m extreamly sorry to hurt all tha raglak fans………plzzz forgive me……………and yes I asure you that laksh will not be heartbroken and not also a villain in ragsan life….in my ff he has same importance as others…….everything will be fine at last…. It was last day of college……..
After farewell function all of them gathered at canteen area…. Nandini-so guys we all are going for shopping right……….from there right to mehak’s house…..
Mehak- ragini shekar uncle and anu aunty is coming na…. Ragini-yeah mehak don’t worry by now they must have reached your house..
Saying this ragini became sad…..
Manik-yeah yeah……….so tomorrow will be full masti…. Mehak- manik how is sanskar……..
Manik-now he is better…….he is sleeping……..
Nandini- he was so excited for meharya ‘s engangement………..unfortunately he will not be able to attend……. Sanskar- who said I will not attend………if I m not there who will do masti…………………. Ragini – sanskar you are unwell what are you doing here………..
Nandini- ohh sorry I forgt to tell you…..yesterday she got call from her home her grandmother is ill……….so she had to leave immediately……….and she was in so much hurry she forget her phone here only………..
Nandini- no…..she was worried and left immdediately…..
Manik- hmm I guess she will not be able return before an week………. At evening they goes for shopping………….girls were busy in choosing their clothes………..while boys were chit chatting………………. Ragini tuns to see sanskar satnding………..
Sanskar keeps her hand on her mouth……..
Sanskar- no need to say sorry……..u did right thing…………….i m sorry that I didn’t give you a chance to explain……manik told me everything…………. Ragini smiles……………sanskar takes out the gift he brought for her……………..
Ragini enters mehak’s house…….she close door and turns………she stands there and looks at her parents sitting on sofa and talking to mehak’s parents…. She gets teary eyes………and calls her parents loudly happily………..
Shekar- o my baccha………how are you….. They break the hug……ragini looks at anupriya…….who also had tears in her eyes……..
Ragini- sorry maa………..i am sorry for what I did………. Next day it was hustle bustle at both the khanna mansion and Sharma mansion……………. Girls were helping mehak getting ready…………….. Engagement time…..mehak and shaurya goes to stage….for ring ceremony…. Mehak and shaurya exchanges ring……everyone claps……. Suddenly spot light falls on stair…………laksh comes their holding…..mike……..
Laksh- hi ladies and gentlemen………as you all know my brother and mehak bhabhi is getting married…………..so here I am to announce one more wedding……. Everyone looks at him shocked…………. Laksh- but before that I want to ask the girls family if they agree……. 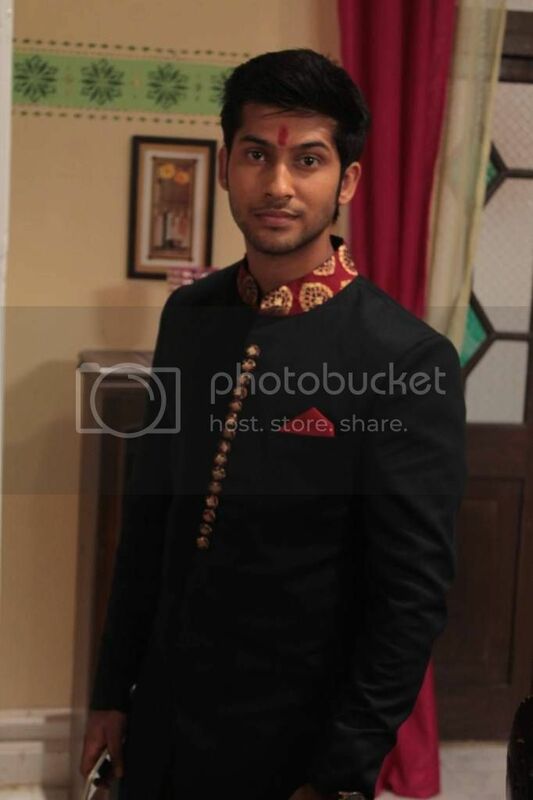 Laksh- uncle………I m laksh khanna……..i and ragini love each other………will you give you daughter’s hand to me………. Shekar looks at ragini who is standing their silently……..
Shekar- I have no problem with laksh …………but if ragini agrees ………..we all accept you relation………..ragini do love him……..
Everyone claps listening her decision…………..
Nandini and mehak comes to ragini and congratulate her………. Manik- no……nothing…….i was thinking about sanki……..
Nandini- where are you lost ……..
Manik-nothing you enjoy…….i will come……..
Ragini sees everyone asleep……she was not getting sleep infact was crying silently………. Laksh- ragini………..i helped you everytime………you remember I said you I will take my return gift when time comes…………. Ragini- yes laksh say what you want………. 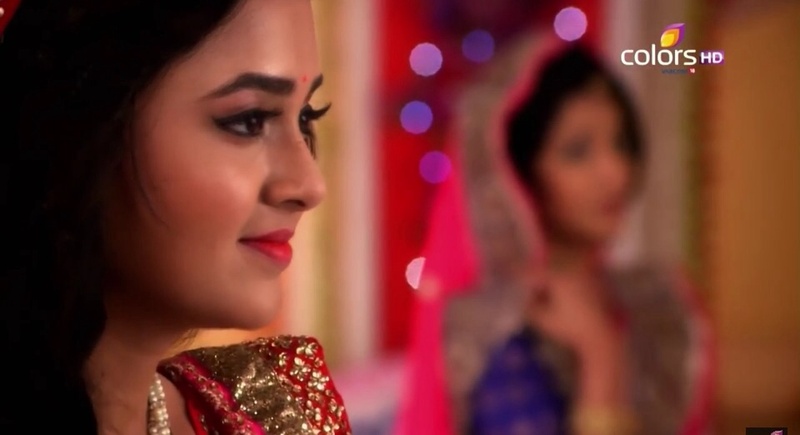 Ragini- have you lost it laksh……..
She collides with swara………who was their for treatment of her grandmother…………. Give you views on the episode for sure……….. I am trying to fulfiil everyone’ demand…….hope you will like it………. Hmmm….sad that ragsan r not together…but as they will be one at end…. living with this hope…..